Chaos and Chemistry: Simple Models to Understand Chaos in Chemistry (J.-M. Andre). Reaction Network Analysis. The Kinetics and Mechanism of Water-Gas-Shift Reaction on Cu(111) (I. Fishtik et al). Clusters, the Intermediate State of Matter (S. Roszak, J. Leszczynski). Computer Simulation of Fullerenes and Fullerites (I. Yanov, J. Leszczynski). Theoretical Approaches to the Design of Functional Nanomaterials (P. Tarakeshwar et al). Methods and Implementation of Robust, High-Precision Gaussian Basis DFT Calculations for Periodic Systems: The GTOFF Code (S.B. Trickey et al). Many-Body Luminescence from Highly Excited Quantum-Confined Structures (T.V. Shahbazyan, M.E. Raikh). Spin-Polarised Surfaces: Current State of Density Functional Theory Investigations (S.J. Jenkins). 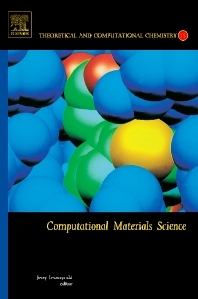 Simulating the Structure and Reactivity of Oxide Surfaces from First Principles (S.P. Bates, S.D. Elliott). A Theory-Guided Design of Bimetallic Nanoparticle Catalysts for Fuel Cell Applications (Y. Ishikawa et al). Supported Metal Species and Adsorption Complexes on Metal Oxides and in Zeolites: Density Functional Cluster Model Studies (N. Rosch et al).